A glorious evening in September kayaking around Goose Island, celebrating the last day of summer watching the murmuration of tree swallows. 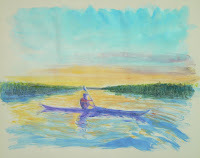 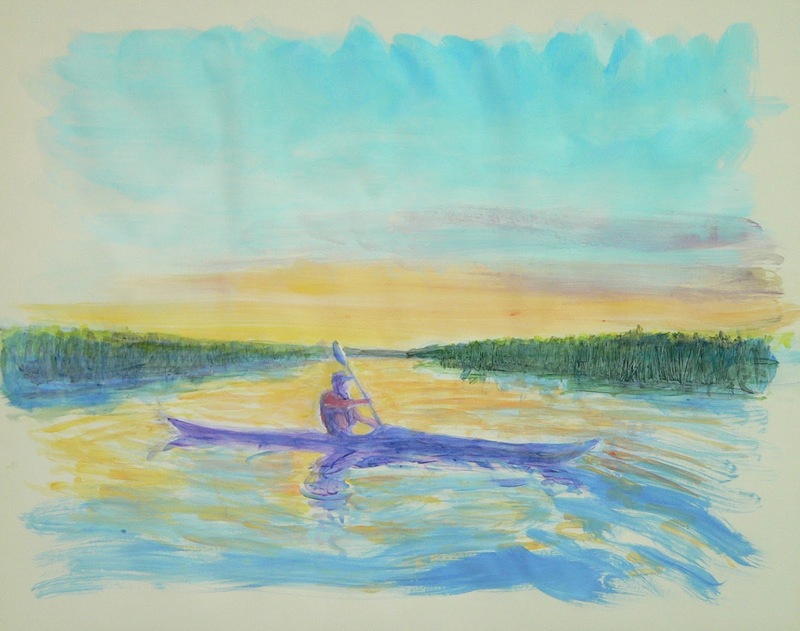 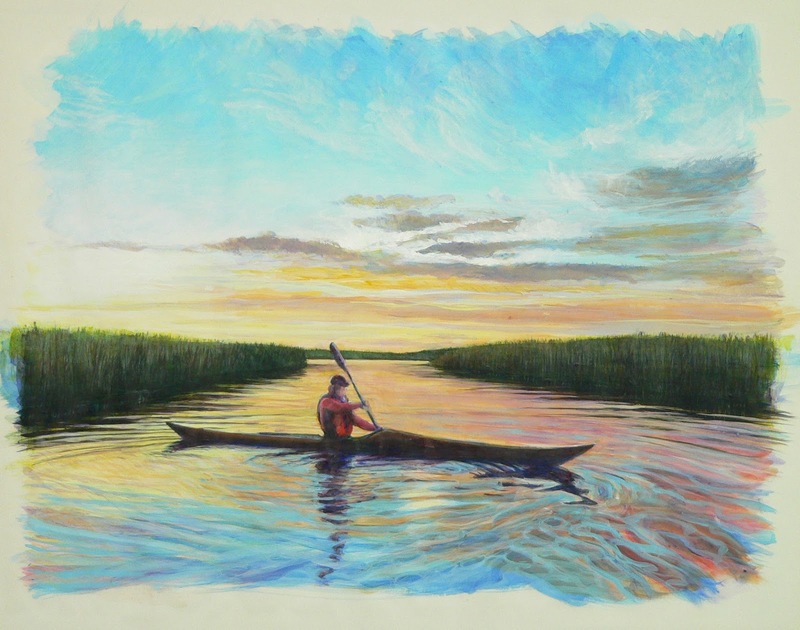 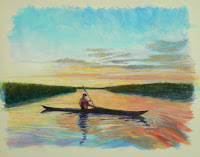 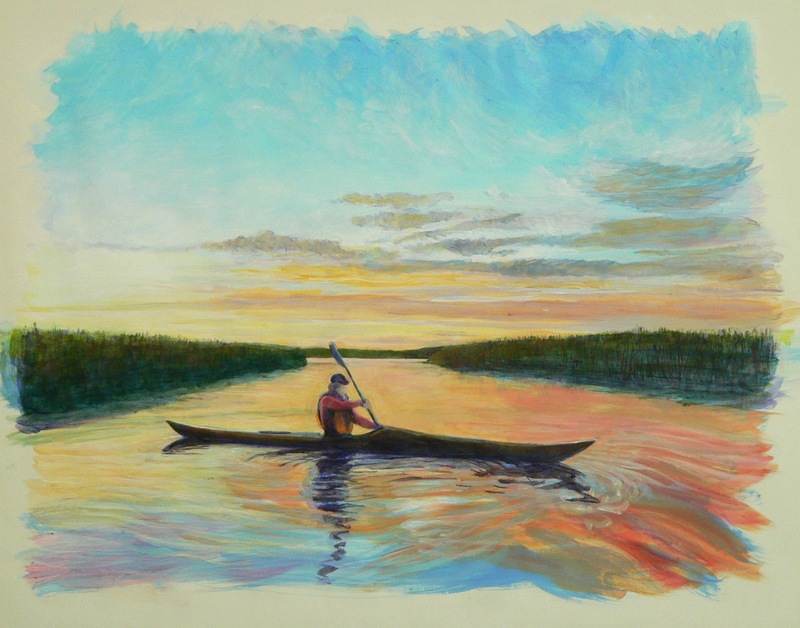 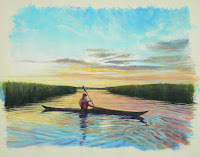 This is an 18" x 24" acrylic painting on paper, referencing a recent kayaking trip to an island on the Connecticut River off Old Saybrook. 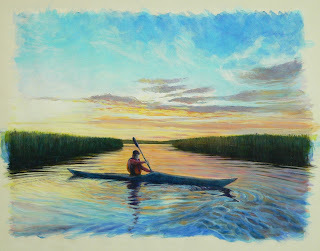 Is That You On The Bantam River?